At BIG4 Sunset Beach Holiday Park, you decide the type of holiday you want - camping, caravanning or relaxing in our chalets. All campsites and cabins are a short walk from the beachfront and is the perfect location for windsurfing, beach fishing, a stroll along the foreshore or to enjoy a glass of wine while watching the magnificent sunsets over the Indian Ocean. Our team at BIG4 Sunset Beach Holiday Park look forward to welcoming you to our very special location. 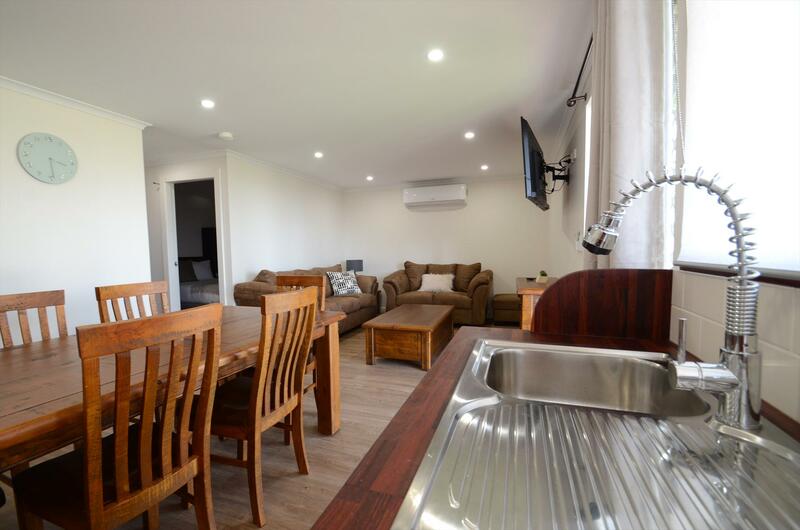 Our Two Bedroom Family Chalet is the perfect accommodation choice for a family. With a light and airy feel, spacious open plan kitchen, lounge, and dining area, there is plenty of room for the whole family. A protected deck allows you to sit and relax whilst giving the kids the option to explore the Parks many features. 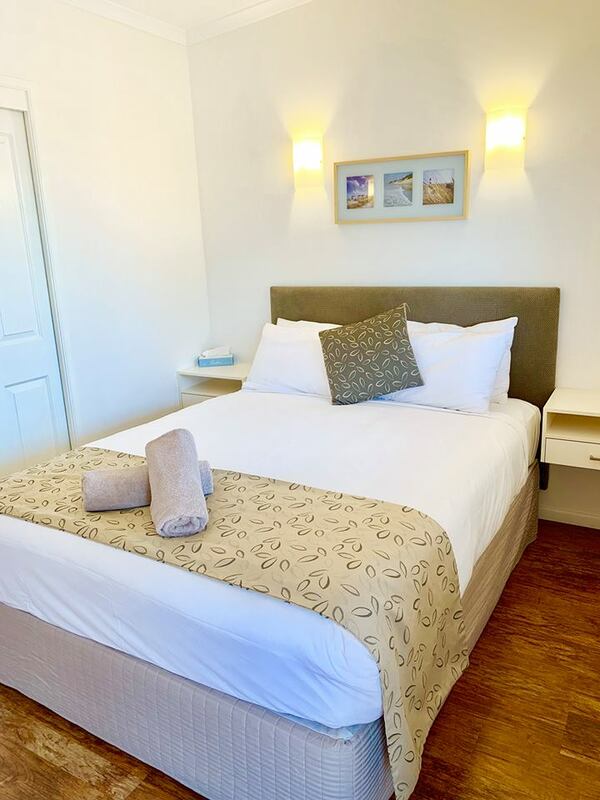 The main bedroom boasts a queen size bed with crisp white linen whilst the second bedroom accommodates up to 3 children in a double bed with a single bunk on top. 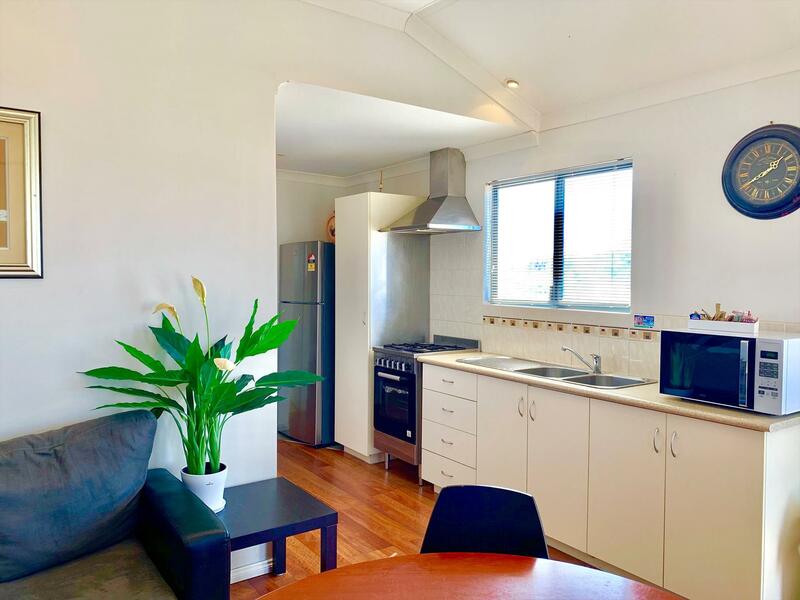 The bathroom has a modern shower suite and the kitchen comes complete with all the necessary equipment and utensils to make your stay at Sunset Beach a home away from home experience. The deck is spacious accommodating a large table and chairs. Our beautiful Deluxe Ocean View Chalet is our latest luxury accommodation. Featuring 2 bedrooms, the main bedroom includes a queen size bed with its own flat screen TV. The second bedroom includes 2 sets of single bunk beds. This chalet also features a designer kitchen with its own coffee machine and a beautiful spacious living area. Please Note: Our Deluxe Ocean View Chalets are not all the same. This open plan Ensuite Chalet is an affordable option for couples or small families. 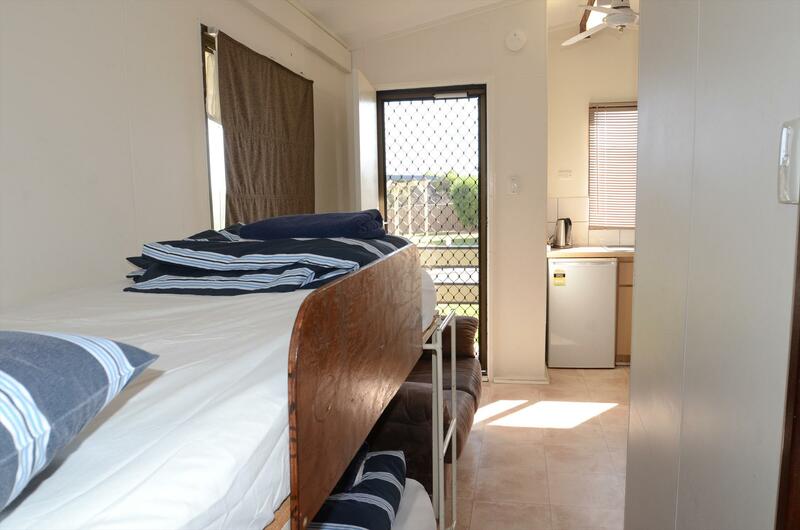 The accommodation utilities the space well with a double bed and ensuite bathroom. 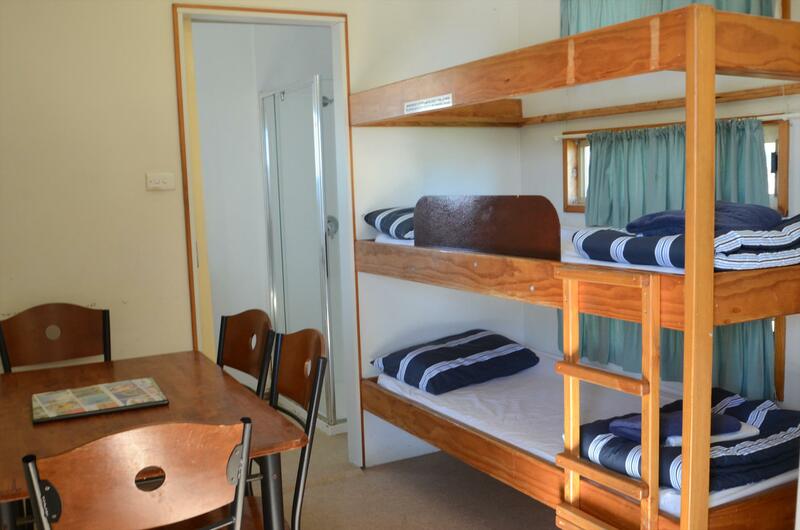 The main living area is equipped with a kitchen, dining area and also houses a set of single bunk beds. The decks are spacious accommodating a large table and chairs. 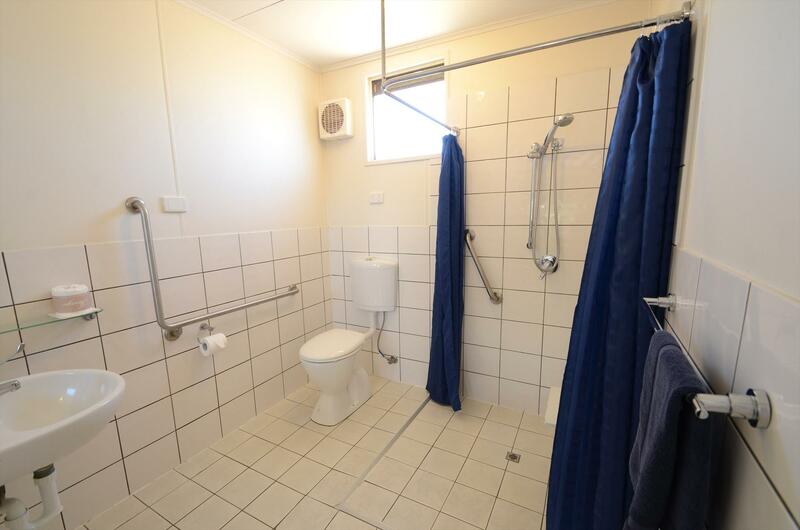 Please Note: Not all our Ensuite Chalets have the same layout. Our Family Chalets offer accommodation for up to 4 and are the ideal choice for the budget conscious who expect a little more. Allowing privacy, the main bedroom offers either a queen or double bed with fresh white linen. Soft fluffy towels complete the luxury feel. The main living area comprising well equipped kitchen with cook-top, lounge and dining area also accommodates the bunk beds. The decks are spacious accommodating a large table and chairs. Please Note: Not all our Family Chalets have the same layout. 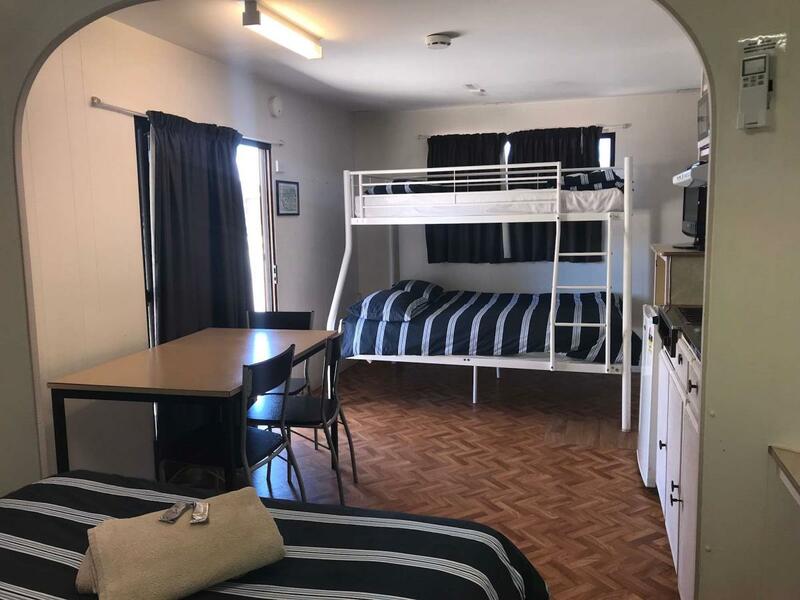 Our Motel Units are ideal for those staying for the weekend and making the most of Geraldton eateries or our modern camp kitchens. Only suitable for singles and couples (sorry no children or infants). With crisp white linen and soft fluffy towels, these units have a touch of luxury. A queen size bed, kitchenette and sparkling bathrooms await you. Our Cabins offer accommodation for the budget conscious and those who enjoy all aspects of a holiday park. Situated conveniently to the amenities, camp kitchen, swimming pool and jumping pillow, these cabins include a double bed with bunks in the main living area, a kitchen with cook-top, these cabins have no bathrooms inside. Cancellations and Refunds - No refunds are given on bookings cancelled within 7 days or less prior to arrival date. NO EXCEPTIONS When 31 days or more notice is given the prepayment can be refunded minus a $30.00 cancellation fee. When 31 to 7 days notice is given prior to arrival date: Full refund less 50% of deposit. OR-- Customer can keep the deposit paid as a credit for future bookings. Management reserves the right to relocate or change the booked room/cabin/site number prior to or on arrival. During booked period - No Refund for early departure.